푸켓, 태국의 해피 피시 게스트하우스 | 호스텔월드에서 예약하세요. The air-conditioned rooms come with cable TV, a safety deposit box, and a fridge. A wardrobe and desk are also provided. The en suite bathroom offers a hot shower. 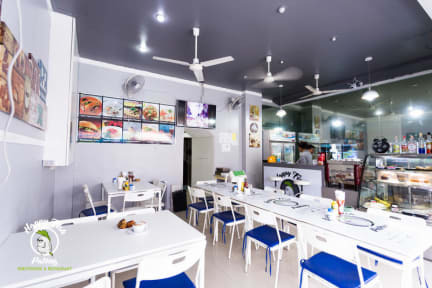 Happy Fish Guest House is a 5-minute drive from Jungceylon Shopping Mall. It is a 20-minute drive from Phuket Fantasea and a 45-minute drive from Phuket International Airport. 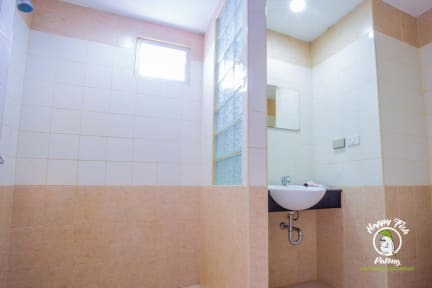 The guest house provides car and motorbike rentals, chargeable airport transfers, and laundry services. 3. 5 days advance notice for free cancellation. If cancelled or modified later on in case of no-show, 50% of the total price of the reservation will be charged.